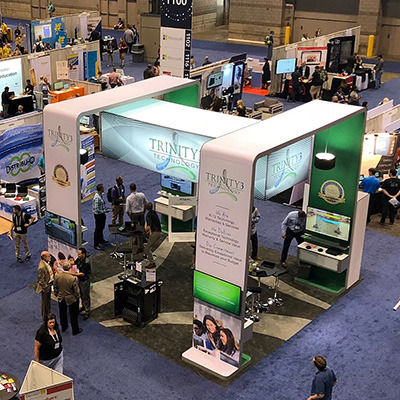 Trinity3 Technology is proud to share our upgraded booth at the 2018 ISTE Conference, June 24 - 27, 2018 at the McCormick Place West Building in Chicago, IL. Since ISTE 2018 is our biggest show of the year, we couldn't imagine a better place to display our bigger and better look! Be sure to stop by the Trinity3 Booth #1280 to check out our latest products, meet the team (we’ve got new members!) and to see what all Trinity3 Technology has to offer! As part of our relentless effort to provide our customers with the best products, services and purchasing experience possible, starting January 1st, 2018, Trinity3 will be including the Securly:// premium version on every device purchased from Trinity3 at no charge. Securly:// is leading the education marketplace by delivering robust student safety and web filtering protections via a 100% cloud based (no appliances needed) platform. In school, at home or elsewhere the safety of your students is vital and having access to timely information allows administrators, school staff and parents to engage. Securly:// deploys in minutes on Chromebooks, MacBook’s, Windows & Android tablets, IPads, and laptops. Trinity3 has just launched a new website. Built with a responsive design for great viewing on any device. The e-commerce portion of the website is completely custom built and designed specifically for you, our customers. Please take a look around.